Underground artist Kayer releases a couple from the vault featuring Hip-Hop Legend Spoon (of Iodine). 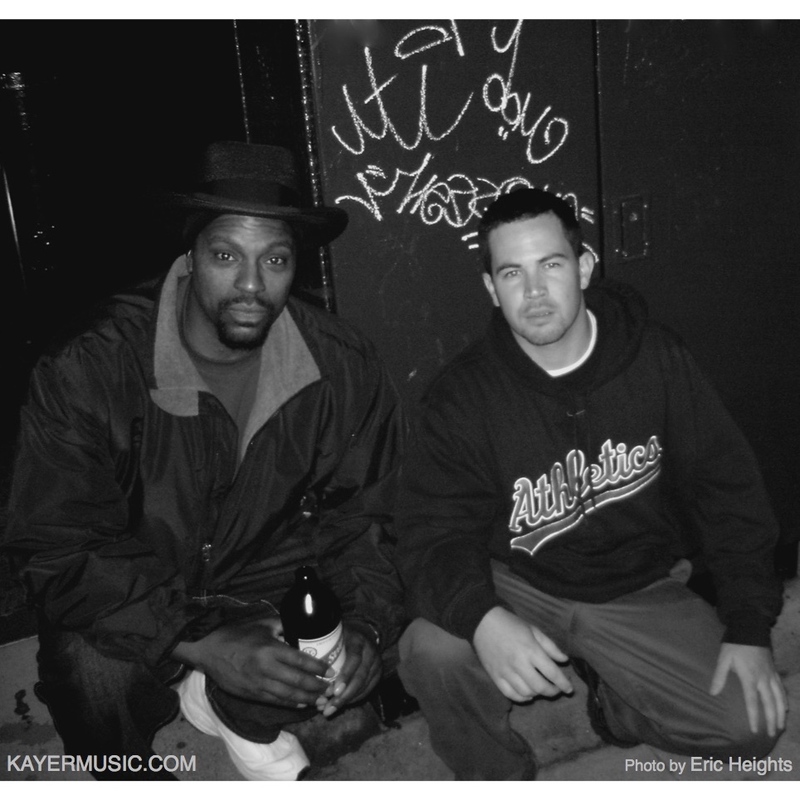 The Veteran MC’s have been working together since 2005 with Producer Cosiner in Oakland Ca. The first release of these archives can be found on Kayer’s album Rewind a Decade. The single Metro Illness (produced by DJ Vinroc) tells the story of city conflicts testing ones sanity before giving into violence. Another track from this duo titled Same Page (featuring P.E.A.C.E. of Freestyle Fellowship)(remixed by Ian Mckee) has been noted as an improv freestyle recording. The original version produced by Cosiner will arrive on a future release. Rewind a Decade is Available at all Digital Stores/Spotify/BandCamp etc.